We are excited to announce that Rise of the eSports Hero has been nominated for a 2014 Impact Award in the Documentary-Style Reality Category. We are humbled to be amongst some impressive names in the industry including Morgan Spurlock's project Inside Man and Intervention Canada. Awards are being handed out March 14th in Turn, Italy during the Impact Media Summit. In January, Erica Landrock headed to Washington, DC for the RealScreen Media Summit held this year at the Washington Hilton, a new and much larger venue than in previous years. A conference focused specifically on non-fiction programming, it was an opportunity to meet new producers, broadcasters and content creators from throughout North America to discuss new projects and find out about the latest trends. From attending panels with top producers and broadcasters to meetings, speed pitches and parties, it was definitely a worthwhile conference to attend. We were hoping for a visit with the President, but his State of the Union Address happening while we were there he was a bit preoccupied. Maybe next time. Rise of the eSports Hero: To be re-broadcast on Slice TV in 2014! After a successful broadcast at the end of October on Global Television, Shaw Media has announced they will re-broadcast the documentaries from the Obsessions series in the New Year on Slice Television. Tune in on February 8th at 8pm/EST & February 9th at 7pm/EST to watch Rise of the eSports Hero again on television across Canada! We are continuing to work on getting the documentary into other territories around the world. Please stay tuned for more information as it is available. Leading up to the premiere of Rise of the eSports Hero on Global Television October 26, 2013, Erica Landrock and Geoff “iNcontroL” Robinson, were in Toronto for a busy few days of interviews to get the word out about the documentary as well as let the audience know a little more about the sub-culture known as eSports. Geoff “iNcontroL” Robinson, one of the subjects from the documentary Rise of the eSports Hero talks with the Global Morning Show team during the press tour. We are excited to unveil our teaser trailer for the upcoming documentary Rise of the eSports Hero about the sub-culture of professional video game players and Team Evil Geniuses Starcraft II division. Rise of the eSports Hero – Premiering October 26th! We are excited to announce that we officially have an airdate for our documentary “Rise of the eSports Hero“! The film will be making its Worldwide debut on October 26th at 8pm on Global Television across Canada as part of Global TV’s new documentary strand “Obsessions.” Please spread the word and be sure to set your PVR’s and tune in! Stay tuned for more information leading up the premiere of the film. Landrock Entertainment was pleased to head to Banff again for this years Banff World Media Festival. There is nothing quite like heading into the Rockies to meet up with friends and colleagues in the television industry from across the country and around the world. Many of us call it a home-coming of sorts and this year was no different. 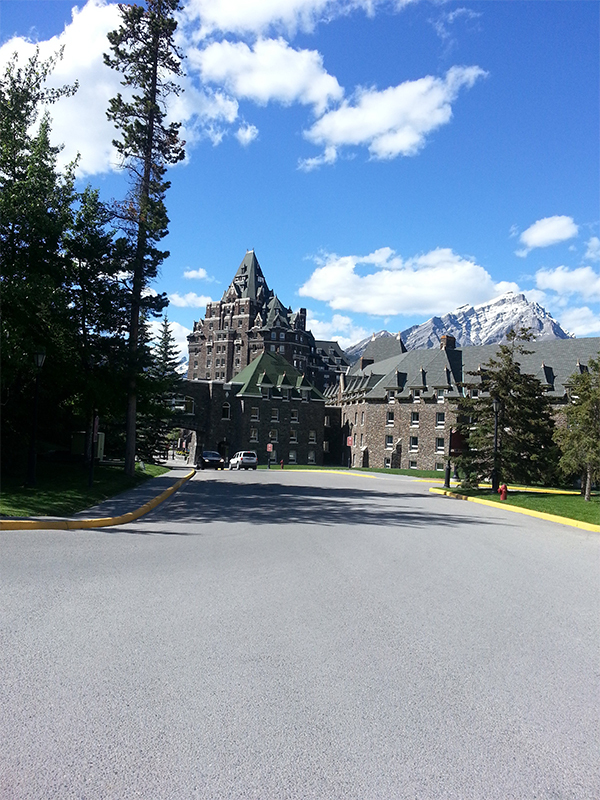 The weather co-operated showcasing the beauty that surrounds us while doing business at the Banff Springs hotel. Professionally, the conference proved to be another successful year with many great meetings and personally, it allowed me to get away from the day to day hustle and bustle in Vancouver and recharge the batteries for a busy summer ahead. Looking forward to following up and seeing what the rest of the year has in store. One things for sure, things aren’t slowing down! Dog-Sledding, Films & Fun in the Yukon! Back from the great white north! Erica Landrock was invited to be a part of the industry forum and speak on some panels at the Available Light Film Festival in Whitehorse, Yukon. It was her first time in Yukon and the north did not disappoint! While temperatures were tickling -45 prior to the festival starting, when Erica arrived it was a balmy -15 to -2 while in town! Blue skies, great films, a talented Yukon film community and lots of new friendships made. A great festival run by Andrew Connors, Neil MacDonald and the rest of the staff. The ALFF crew made the time up north one none of us will soon forget. If you have an opportunity to check out this festival from both an industry and film side of things I highly encourage you to do so. Erica had the pleasure to sit on panels discussing how to get Northern stories told, the big pitch day, Working with Funders, Broadcasters and Distributors as well as taking one-on-one pitches. It was also a great opportunity to network with other industry folks from across the country that ALFF brought to the festival. One of the highlights of the festival was having the opportunity to go dog-sledding. Along with filmmaker Peter Mettler, Erica got to try her hand at dog-mushing! While it was no Yukon Quest, they did have 2 hours of fun exploring the trails and getting some Yukon scenery outside of Whitehorse. Definitely something to cross off the bucket list. Erica is already trying to figure out how to get back up to the north! Here are a few pictures to tempt you to do the same. We are excited to announce that Erica Landrock has been invited to sit on the panel for the industry forum at this years Available Light Film Festival in Whitehorse, Yukon. She will be heading north to sit on some of the great panels and take pitches during the first week of the festival during the industry sessions. Having been warned to prepare for up to -30/-40 temperatures, it is time to start packing the warmest clothes I own! If you happen to be heading up to the festival please be sure to say hi. Looking forward to catching up with some familiar faces and meeting lots of new ones. See you in the Yukon! The Available Light Film Festival runs from February 4th to 10th at the Yukon Arts Centre & Old Town Hall in Whitehorse, Yukon. Erica Landrock and Mona Grenier (Exclamation Films) have been shortlisted for the NSI Drama Prize program for the short film Green, Green Grass. If they are selected, they will head to Winnipeg for some intensive training from industry experts and the chance to bring Mona’s fantastic script to life! Congratulations to all the teams shortlisted for this program. Looking forward to hearing who is selected next month.